EPiServer is an web content management system. It is an innovator in digital marketing and e-commerce solutions through .NET CMS and e-commerce platform. EPiServer helps bussiness to create unique customer experiences and identifying customer behaviour which generates bussiness results. EPiServer was founded in Sweden in 1994.It is an global company offices in many countries(United States, Sweden, Denmark, Norway, Finland, The Netherlands, South Africa, Australia, Spain, UAE and the United Kingdom) headquarters are located in the heart of Stockholm, Sweden. I am assuming that you have basic knowledge of CMS and DOT NET framework. First thing I recommended you to create an account in EPiServer World. I found this site very helpful. You can read blogs, post your question on forum and etc. You can install a EPiServer site from Developer Center. But I recommend you to install it through Visual Studio extension. Download it from here. Creating an EPiServer website using Visual Studio EPiServer template is very easy. 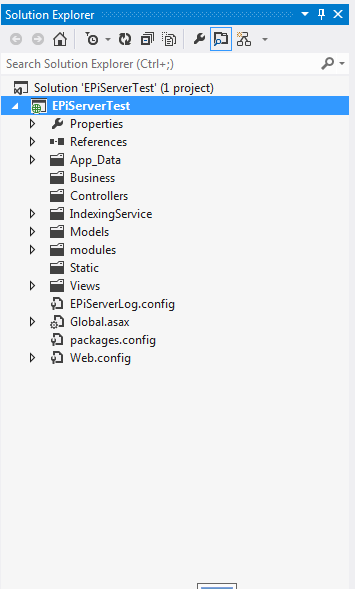 Visual Studio EPiServer template give choice to create a empty site contains only files need to run EPiServer run time and a sample site with sample data and pages. Here I will demonastrate you to create a site from scratch using empty template in MVC. 1. 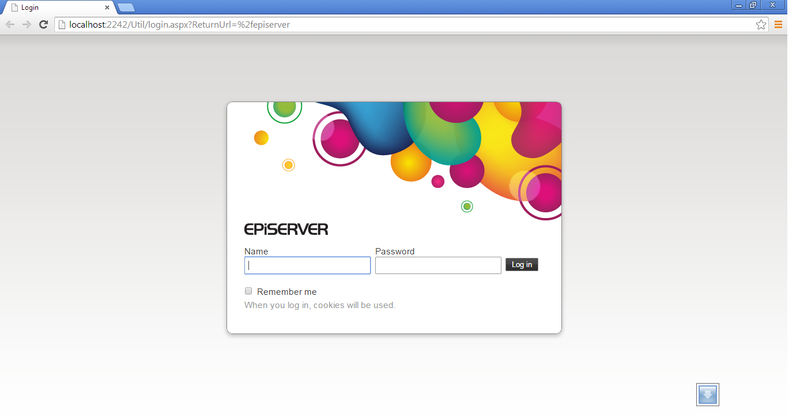 Go to "File -> New -> Project -> EPiServer -> EPiServer Web Site" and give name as EPiServerTest then click OK.
2. Select template Empty and tick on MVC then press OK. This will create and EPiServer project for you. Solution will looks like this. Next day we will learn how to create your first EPiServer page.